Par-Kut’s all welded galvanized portable steel buildings are excellent for exterior and interior situations. 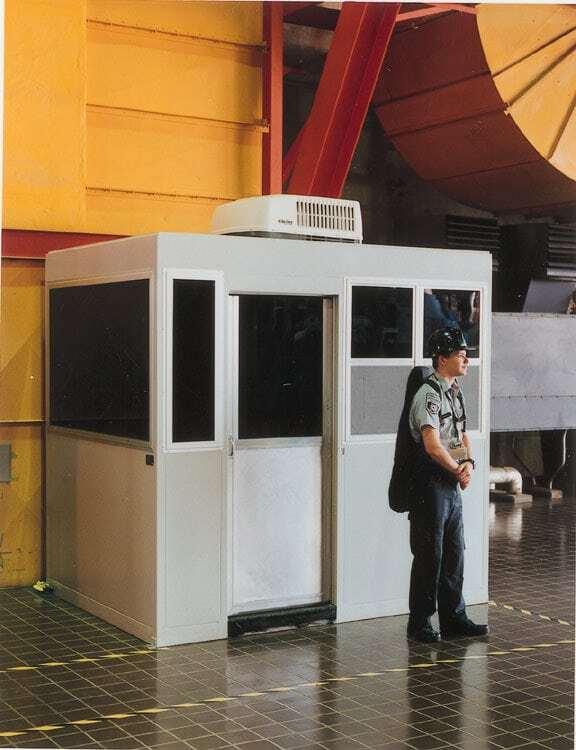 This standard booth has been adapted for an in-plant application. This “Garage” style unit has no overhang, fascia or drain system. With comfort still a concern, this booth is equipped with a surface mounted heater & roof top air conditioner both controlled with integral thermostats. Increased privacy is achieved by applying an extra dark tint to all glazing. Customer’s love the unlimited movability of these units, just a forklift move away!